2017 Starcraft Titan 186, Get more from your time on the water with the value-packed Titan 186 aluminum fishing boat from Starcraft. You'll take the helm of a stylish console with easy-to-read lighted gauges, rocker switches, an AM/FM stereo with J-port, and a 12-volt power point. 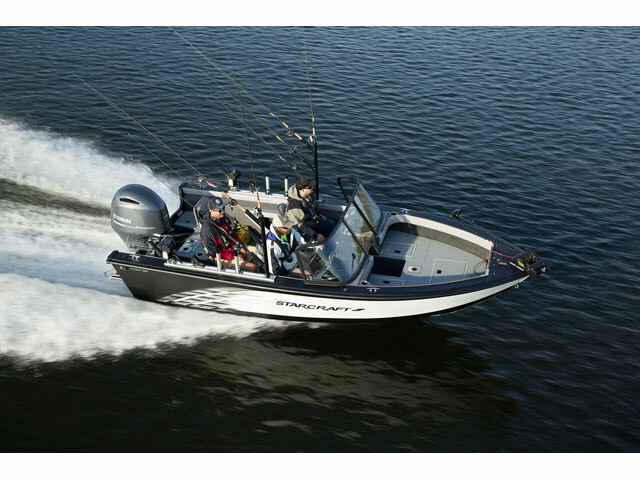 In-floor lockable storage allows you to safely stow up to 6 rods, and a rear flip-up seats easily converts from extra seating to a full casting platform. Plus, enjoy the additional rod space between the consoles in the lockable center rod storage that hold 5 rods. An all-weather package makes a great option, as does a trolling motor, sonar unit and a battery charger. Put it all together, and this is one great value. 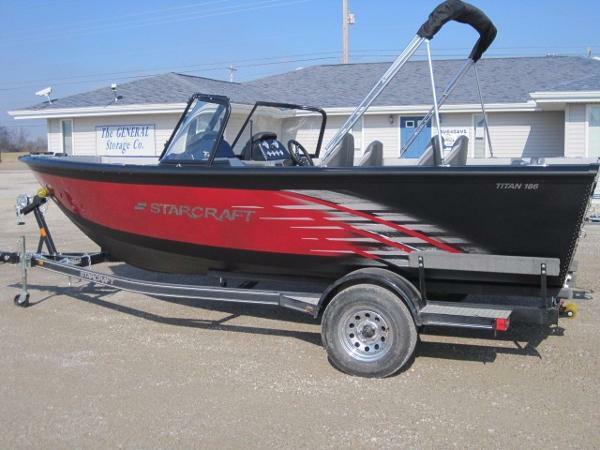 2016 Starcraft Titan 186 DC The new Titan 186 Dc Powered By Evinrude 115 hp Custom Trailmaster Trailer infloor storage convertable flip up rear seats sliders on helm seat full vinyl cockpit & casting platform 27gal gas tank 18gal bow and 25 gal rear aerated livewellshydraulic steering trolling motor quick disconnect bracket bow cover fisherman top w/visor snap in carpet mooring cover bow cushions extra seat and swim platform price includes frg & prep come take a look FALL INTO CASH SALES EVENT TAKE AN ADDITIONAL $ 1000.00 OFF THE PRICE CALL NOW !! 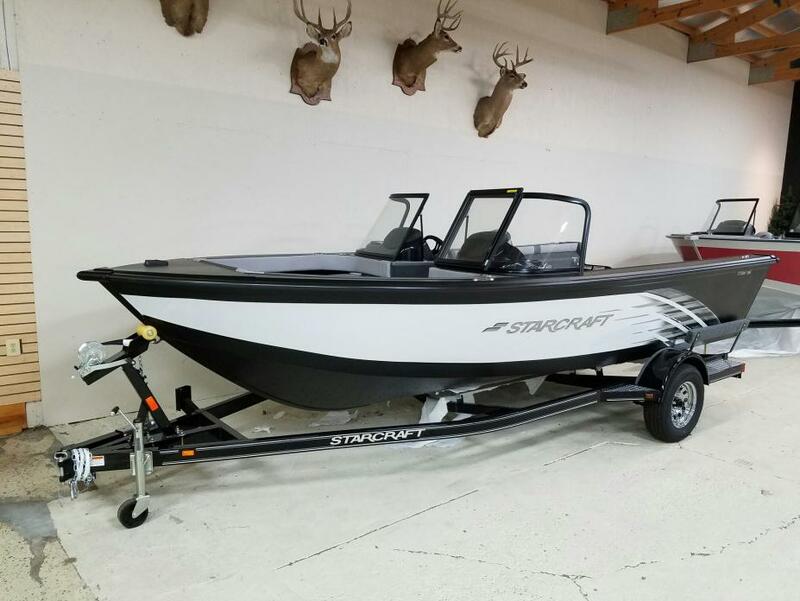 2016 Starcraft Fishing Titan 186, Get more from your time on the water with the value-packed Titan 186 aluminum fishing boat from Starcraft. You'll take the helm of a stylish console with easy-to-read lighted gauges, rocker switches, an AM/FM stereo with J-port, and a 12-volt power point. 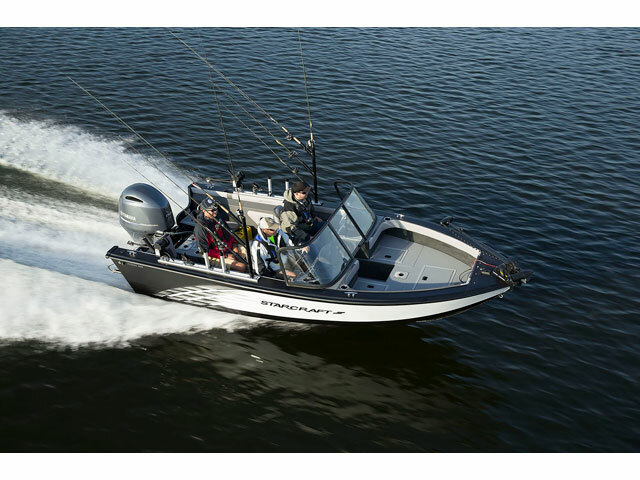 In-floor lockable storage allows you to safely stow up to 5 rods, and a rear flip-up seats easily converts from extra seating to a full casting platform. 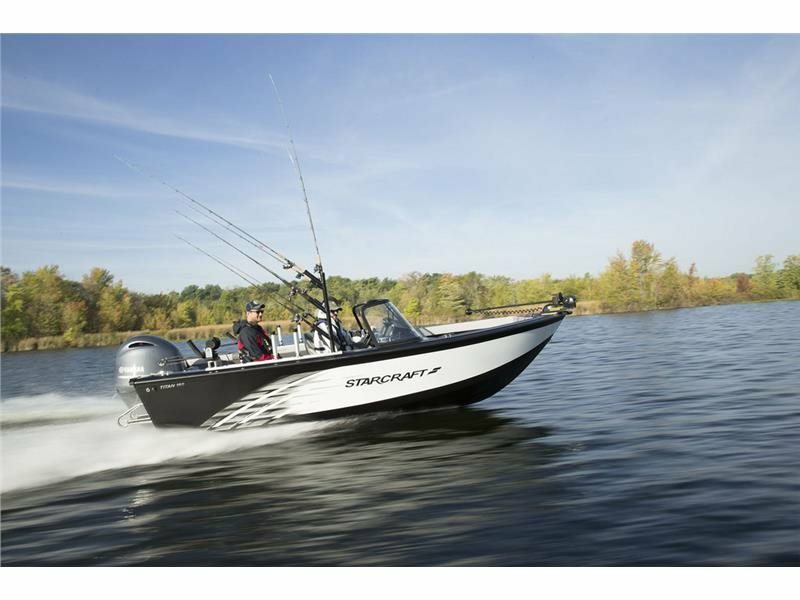 An all-weather package makes a great option, as does a trolling motor, sonar unit and a battery charger. Put it all together, and this is one great value.